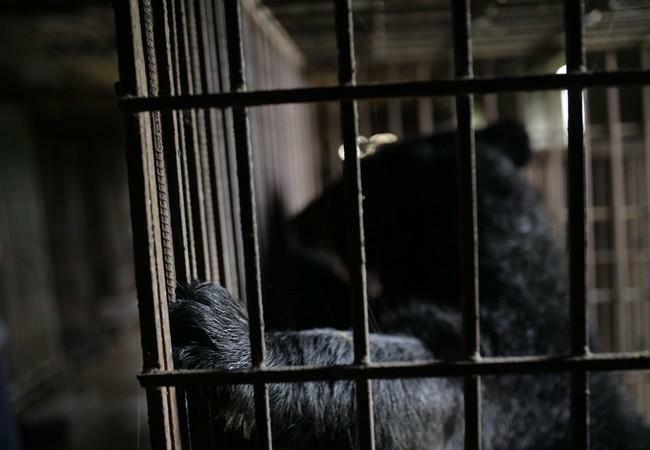 Suffering is finally over for two Vietnamese bile bears, May and Binh Yen, who lived most of their lives in agony on a bear farm in the Vietnamese province of Ninh Binh. 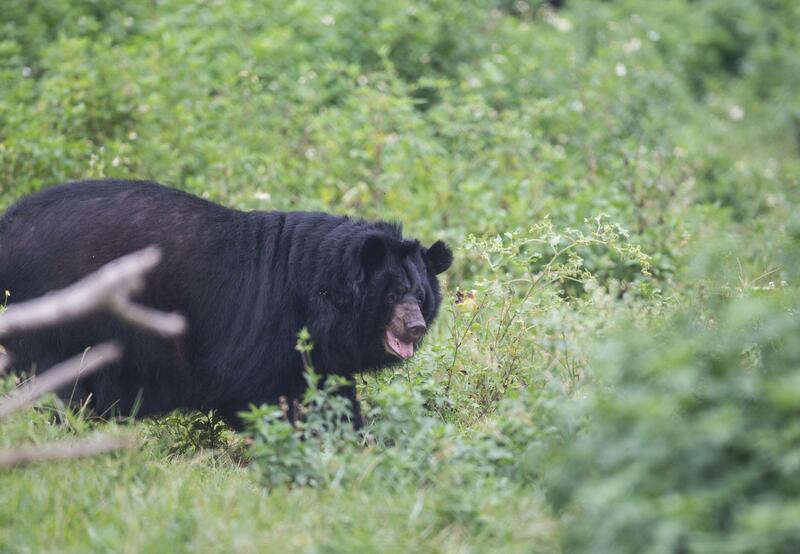 In April 2018, we rescued the two Asiatic black bears from their tiny metal cages and brought them to BEAR SANCTUARY Ninh Binh, opened in 2017. May and Binh Yen were the last bile bears to languish on a farm in Ninh Binh province. 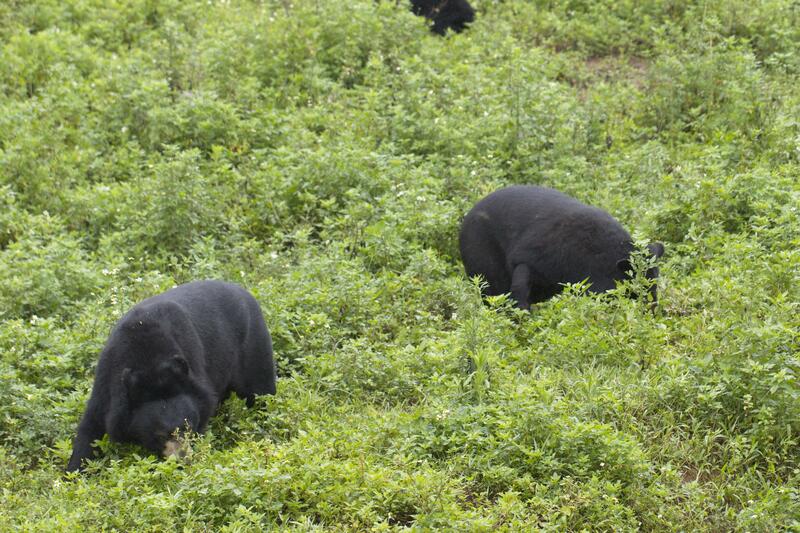 Their rescue marked the end to the keeping of bile bears in the entire region. Sadly, in other provinces of Vietnam, bears are still suffering on bear farms as humans continue to illegally extract their bile using cruel methods. 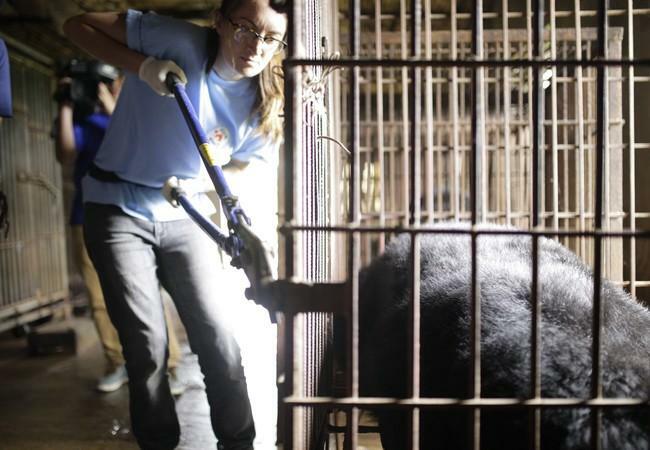 Firstly, May and Binh Yen were taken to the quarantine station at BEAR SANCTUARY Ninh Binh. Here, they could receive medical care from FOUR PAWS veterinarians and animal caretakers. A lifetime of abuse has left appalling, physical marks on them. 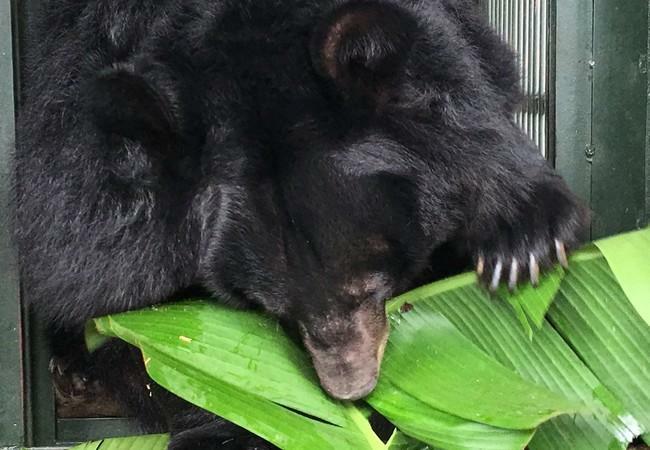 After lenghty observation of the behaviour of all three bears, the team at our BEAR SANCTUARY Ninh Binh decided to socialise May with Thai Van and Thai Giang. Now May is able to enjoy the outdoors and beautiful greenery with her two companions. Together they form the first group of three bears at our BEAR SANCTUARY Ninh Binh. Just like May, Binh Yen is no longer alone. She has befriended bear Misa who was rescued in January 2018 and taken to our BEAR SANCTUARY Ninh Binh. We are so relieved and happy that both are now socialised with other recovering bears. Life is better together – for bears, too.